This summer, Judge Gorcyca in Oakland County, Michigan shocked the world when she bullied the Tsimhoni children (then ages 9, 10, and 13), compared them to the disciples of Charles Manson, and sent them to juvenile detention for refusing to see their father who they claim is abusive. When Judge Gorcyca transferred the Tsimhoni children from juvenile detention to camp in response to public outrage, many rejoiced as though the case had reached a happy ending. Public outrage evaporated with the media attention, but the happy ending slipped even further away as Judge Gorcyca delivered the children to the father they accused of abuse and chose juvenile detention over parenting time with. In spite of international headlines this summer, Judge Gorcyca was allowed to preside over the Tsimhoni case until her December 23rd decision to disqualify herself pursuant to judicial code MCR 2.003(C)(1)(b) which prohibits impropriety. In her Opinion and Order, Judge Gorcyca denied plaintiff Maya Tsimhoni's motion to disqualify her from the case and then proceeded to disqualify herself as if to say, "You can't fire me; I quit!" Judge Gorcyca's disqualification comes shortly after a formal complaint filed by The Judicial Tenure Commission. The Judicial Tenure Commission is the independent investigating body with the authority to allege judicial misconduct and submit recommendations for disciplinary action to The Michigan Supreme Court. The committee's complaint, filed on December 14th, alleges two counts of misconduct. 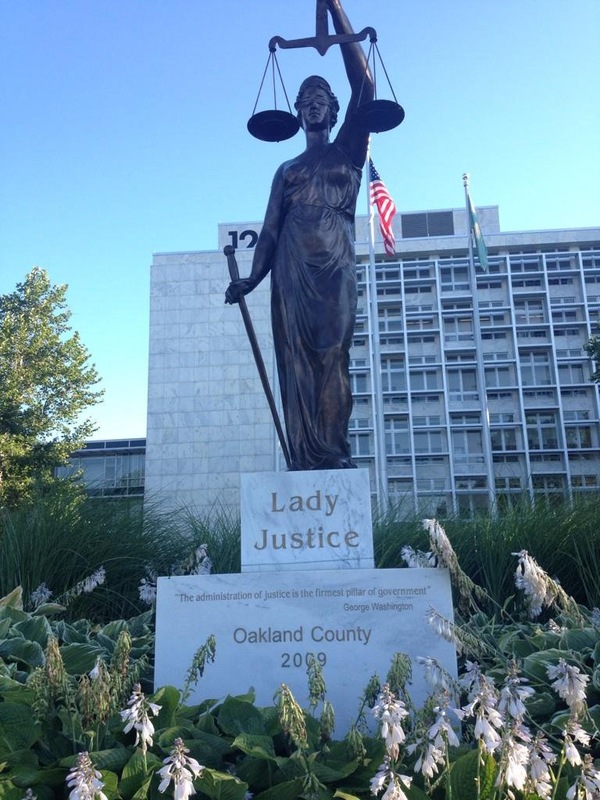 The first count accuses Gorcyca of improper demeanor, failure to act in a dignified manner, laughing at the children, raising her voice, and misrepresenting law and fact during the children's June 24th sentencing hearing. The second count alleges that Gorcyca lied to investigators. The complaint criticized Gorcyca's manner on June 24th, but failed to condemn her decision to incarcerate the children to begin with and subsequently to order their forced reunification with their father. Over the past six months during which Gorcyca has retained the Tsimhoni case, the children suffered court-ordered "reunification therapy" using a questionable protocol conducted by an uncertified individual (as I discussed here and here). Since then, the children have remained in their father's full custody and been separated from their mother. Disproving all myths of a "successful reunification" with the children's father, a new therapist has recommended that the oldest son be placed in wilderness camp and the young daughter be placed in foster care (as opposed to with the mother with whom they both thrived). The children continue to report that they are afraid and want to go home to their mother. School personnel contacted Child Protective Services in response to the children's present distress, yet Judge Gorcyca did not return the children to their mother. Many activists have continuously followed the case, purchasing court documents and hosting www.tsimhonirevisited.com along with Facebook pages Justice for Tsimhoni and Tsimhoni in Review. To them, the Tsimhoni case is not about three children who were bullied by a judge. It's about victim-blaming, domestic violence, human rights, and the estimated 58,000 children who are placed in the custody of abusers every year. To some of the activists, it's about their children who endure forced visitation with alleged abusers or who live in the full custody of those alleged abusers. To say that this case was anomalous, happening only rarely and under exceptional circumstances, would be wishful thinking. The Tsimhoni case could set a precedent in family courts across the country. That precedent should not be one of getting away with it. Whether or not Judge Gorcyca will face disciplinary action remains undetermined, but the status quo she ordered for the Tsimhoni children precludes any happy ending and denies justice. Not only have allegations of domestic violence been disregarded, but three children were traumatized and wrongfully incarcerated after only 30 minute conferences with lawyers who did not know their circumstances and even had to ask for their names in court. These negligent and inappropriate actions may not constitute judicial misconduct, but are no less reprehensible.